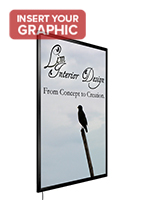 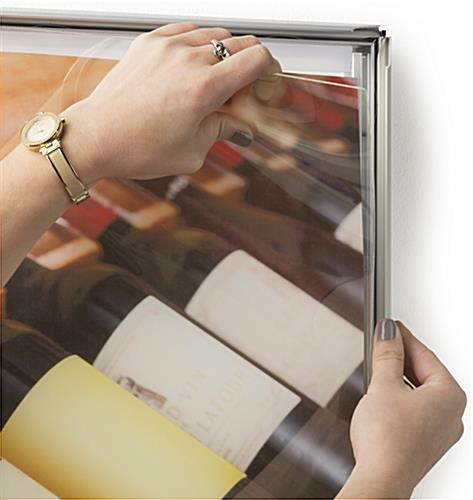 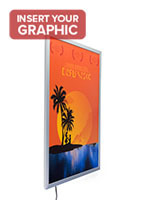 16" x 20" 18" x 24" 20" x 30" 22" x 28" 24" x 36" 27" x 40"
This silver 30" x 40" lighted frame makes drawing attention to your advertisements, movie poster or gallery pieces a snap. 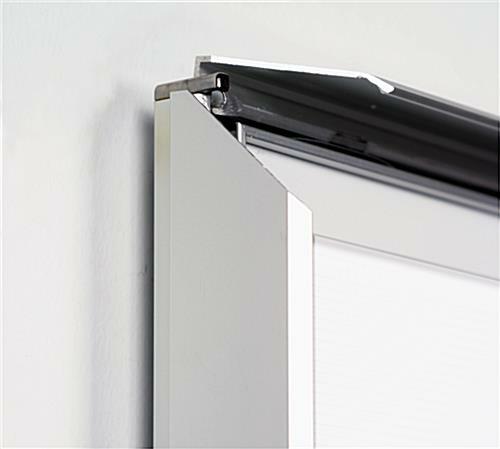 It can be mounted vertically or horizontally with the included brackets and screws for an overall simple setup process. 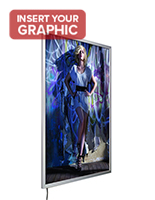 This sleek lighted frame has a front loading design to center graphics easily and do so without taking it off the wall. 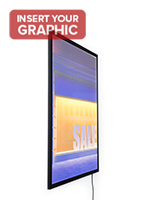 It has LED bulbs around the edge that bounce across the acrylic back panel, making every inch of your graphics surrounded in luminescence. 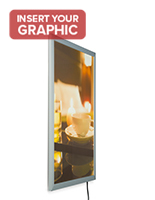 The diode bulb technology is energy efficient and will last up to a decade for a long lasting display fixture. 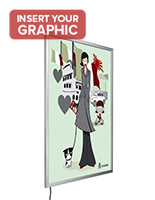 This lighted frame has an overall modern style that can complement classic movie posters, retro advertisements or landscape photographs. 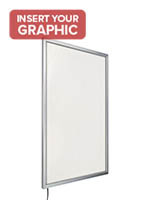 The simple design makes for an easy wall mounted fixture that will draw attention to your graphics bathed in LED illumination. 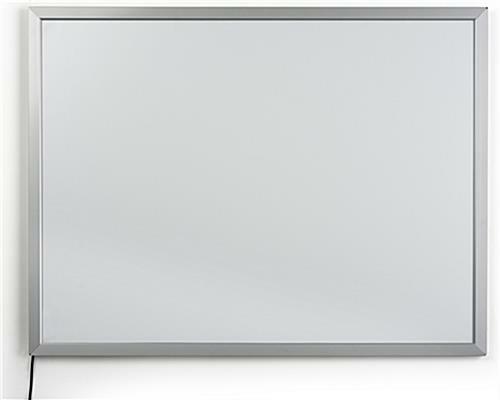 25.3" x 42.0" x 0.75"